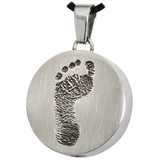 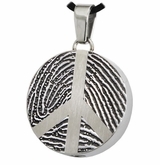 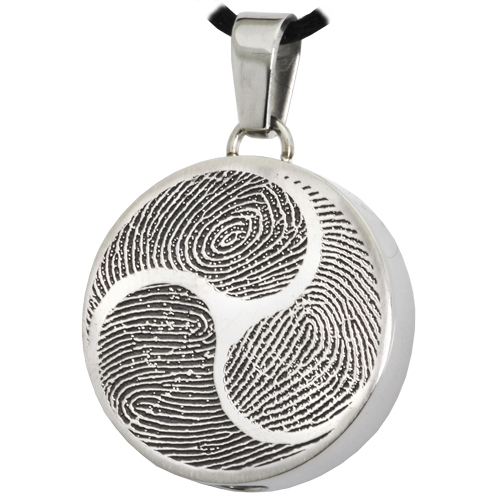 Our Shinto Tri-Finger Print Round Stainless Steel Memorial Cremation Pendant Necklace is engraved with the actual print of your loved one. 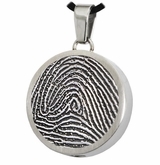 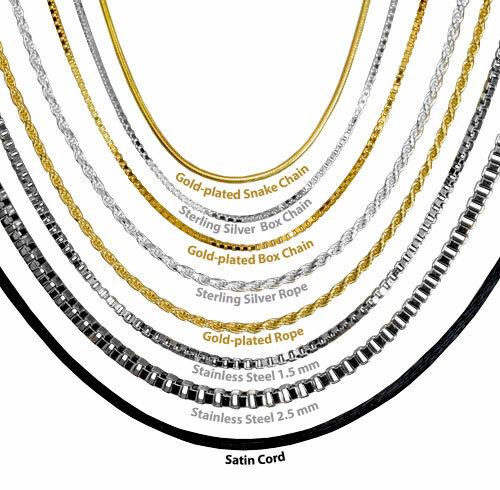 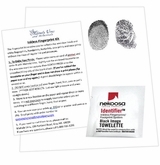 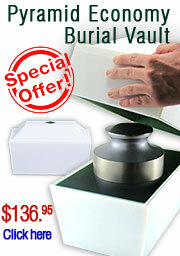 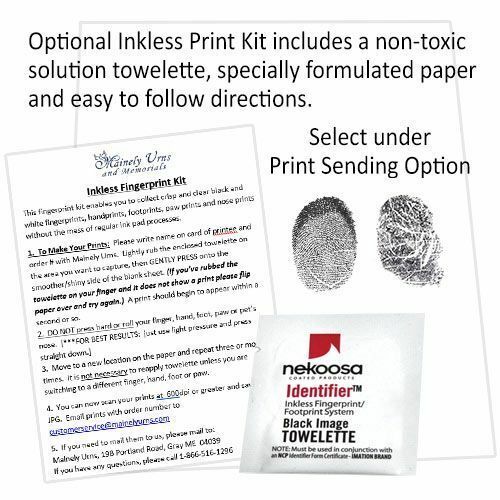 Simply upload or send us a print, and we'll engrave it onto the jewelry piece. 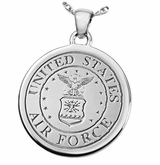 Stainless steel print jewelry is engraved by thermally fusing a black nano-ceramic coating to the surface of the stainless steel. 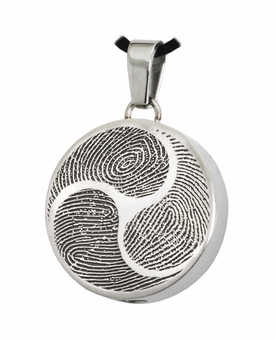 The resulting print is as hard and resilient as the steel itself and is promised to last forever. 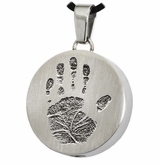 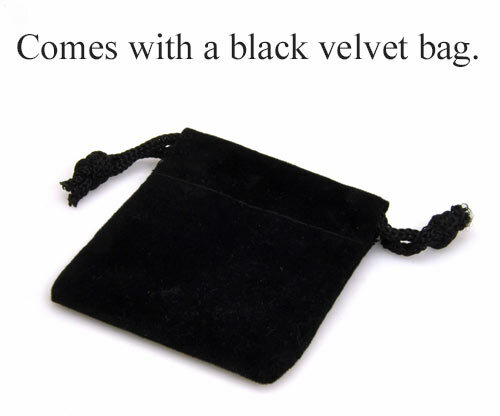 This keepsake jewelry piece has a concealed compartment (secured with an inset screw) that can hold a tiny portion of ashes or other memento. 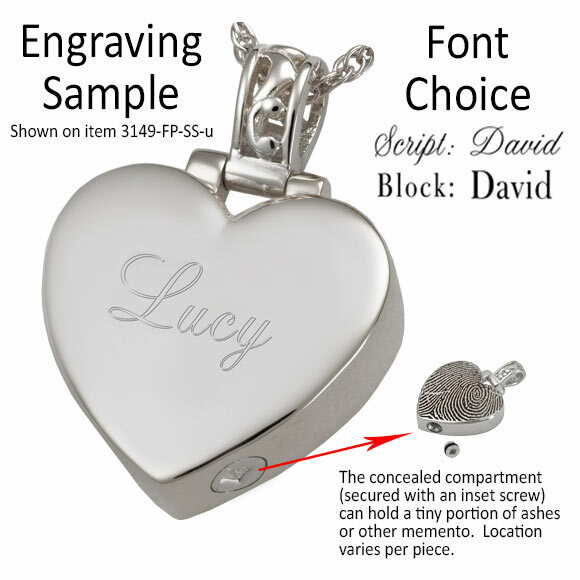 Engraving can be added to the back of the piece.